Learn How to Bring in More Planned Gifts, Build Your Endowment, and Secure Your Organization’s Financial Future. Do you worry about missing out on the huge potential of planned giving as a fundraising strategy? We are currently experiencing the largest wealth transfer ever known – estimated at $46 billion USD. Join us to learn how to build and/or ramp up a robust planned giving program for your organization! WHO are your best prospects for a planned gift? Marketing: How to reach those prospects – phone/mail/digital/social? Storytelling: What kind of real donor stories work best for planned giving messages? Asking: The best ways to ask – on paper, online and in person – and how not to ask. Legacy societies – how to keep your legacy donors engaged. 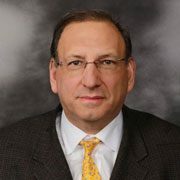 Mark Hefter, attorney and Chair of the AFP U.S. Government Relations Committee, discusses the new tax code and how it will affect planned and legacy giving. Do you really need to know all the technical data to successfully land planned gifts? Absolutely not. It’s really about trust and confidence. You just need some simple strategies and conversation starters and you will be raising planned gifts in no time. Veteran fundraisers Lyne Gamble and Kathryn Yandell Gamble will show you how to open the door for face-to-face donor conversations that really do yield results. Three rules for talking with donors about donating their IRA. How to have effective and meaningful conversations about gift planning with your prospects and donors. How to advance your relationship with your donors toward discussing their estate plans. How small and medium shops can be successful in planned giving. What you really need to know to be successful today – and what you don’t need to know. Lyne Gamble has over thirty years-experience major and planned giving at Wake Forest University, Wake Forest/Baptist Medical Center, UNC-Chapel Hill School of Public Health, and Duke University. 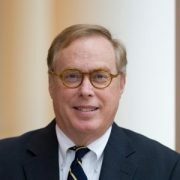 He’s currently leading planned and major gift fundraising efforts in the midwest for Wake Forest’s $1 billion campaign. Kathryn Gamble recently led the NC Museum of Art’s $50 million campaign, closing over $22 million in planned gifts. She has served in leadership positions at East Carolina University, Saint Mary’s School, UNC School of Public Health, UNC Health Sciences Library, and the Morehead Planetarium, and is a Senior Consultant with Gail Perry Associates. Greenpeace International has been raising millions of dollars in bequests from around the globe for decades. What does it take? Investment, commitment and hard work. Ligia Peña, Global Legacy Manager for Greenpeace, will share the tools Greenpeace uses to build and manage its world-wide planned giving program. Build and manage a robust pipeline of prospects. Measure your results using Key Performance Indicators. 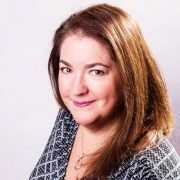 Ligia’s session will help beginner and novice fundraisers who wish to launch a legacy program but don’t know where to start. And if you are experienced, you’ll appreciate the examples and internal systems that create terrific results. Ligia’s known for her practical, wise, and sometimes humorous approach to legacy fundraising so this should be an interesting discussion! Ligia Peña, CFRE is the Global Legacy Manager at Greenpeace International. In her position, she drives Greenpeace’s global legacy strategy and manages a community of practice of legacy managers in 14 countries. For the past 15 years, she has been working with organizations ranging from mental health, environmental education, at-risk youths to international NGOs. Working on all aspects of fundraising, communications and management, her true passion has always been to empower small non-profits to be strong and resilient. Ligia presents on the topic of ethics and legacy giving. 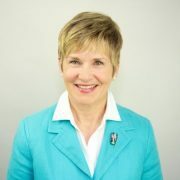 She’s the author of the ‘Small Shop Fundraising’ chapter in the 2nd volume of Excellence in Fundraising in Canada as well as several articles in various electronic and print publications. Want to create a proactive marketing strategy to secure planned gifts? Join Mark Trask, former VP of ArtsMarketing Services, and discover how to lay out a marketing plan that integrates the ask into all of your direct response channels. How do you determine your best prospects, what’s the best way to get in touch? Currently the Vice President of Artsmarketing Services Inc., Mark brings a wealth of knowledge and expertise to the nonprofit arts sector. He taught fundraising in the Combined Arts Administration Program at the University of Ottawa. Mark has held senior positions with the National Gallery of Canada, Opera Lyra Ottawa, Opera Ontario, and Kitchener-Waterloo and Opera Hamilton, the Centre for the Arts at Brock University and the Shaw Festival. 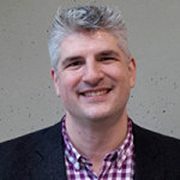 Mark is an active member of the Association of Fundraising Professionals (AFP), having served on the Executive and Board of Directors as well as a variety of Board Committees for both the Greater Toronto and Ottawa Chapters. It’s time to put a fresh face on your Planned Giving Marketing with snazzier donor profiles, brighter messaging and better basic communications. 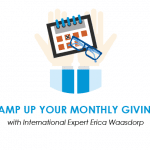 Join my go-to planned giving marketing expert Claire Meyerhoff, President of The Planned Giving Agency, LLC. Claire will share easy way to promote legacy giving to your longtime donors and loyal supporters like volunteers, alumni board members and those lapsed donors who still love your cause. Here’s how to be in front of your donors all the time, with a cheerful legacy message. How to quickly craft engaging donor stories and make them the centerpiece of your planned giving outreach – on the web, in targeted appeals, on social media and promotional campaigns. Great ways to revive, reposition and maximize your Legacy Society and tips on how to start one right now. Essential planned giving messaging and must-have materials your donors need to share with their tax advisors. 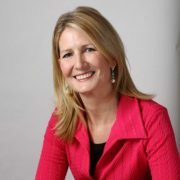 Claire Meyerhoff is a nationally recognized nonprofit marketing specialist and presenter who has worked with hundreds of organizations. She focuses on creating highly tailored marketing campaigns with a concentration on legacy, stewardship, and planned giving outreach. Claire started The Planned Giving Agency, LLC after years of success working with well known planned giving marketing firms, universities, hospital systems, independent schools, and major charitable organizations. Her clients include The United Way of Metropolitan Dallas, New York Community Trust, Parkland Hospital Foundation, ACH Child Family Services, and the Jewish Federation of Palm Beach County. Members of my INSIDERS community and my 2018 Major Gifts Coaching group get the Planned Giving Intensive included as part of their membership. Questions? Shoot me an email here and I’ll be happy to respond. Full participation in Fired-Up Fundraising Master Classes is applicable for 1 point per hour in Category 1.B – Education of the CFRE International application for initial certification and/or re-certification. 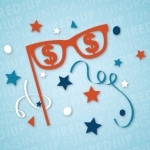 *NOTE: If you’re a member of the Fired-Up Fundraising INSIDERS, then these webinars are already included with your subscription.